Do not miss out this ACUEVE October Promotion at BetterVision today! Eyes as Natural as Nature with Acueve Triple Care. The ACUEVE family products is the No. 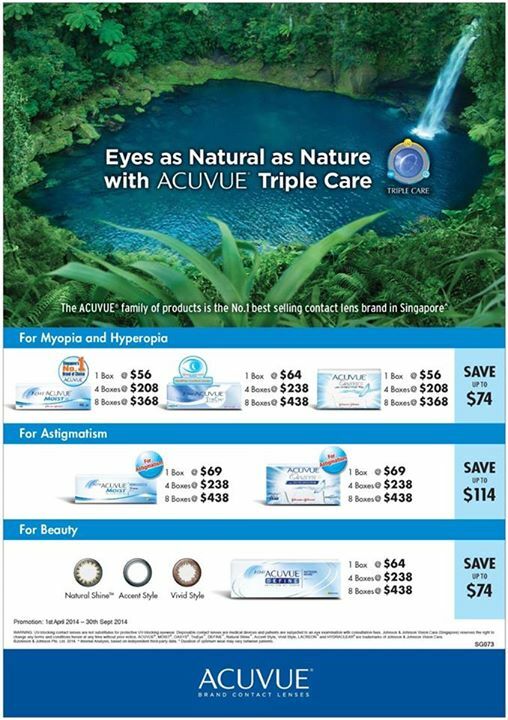 1 best selling contact lens brand in Singapore.